The biology of fat loss has very little to do with dieting, exercise, or weight loss pills. The dogmatic advice that you must ‘eat less, exercise more’ to lose fat has grown to mythical proportions. The biggest problem is the failure to account for human biology – that is, the biology of fat. Your body is already perfectly adapted to being lean and healthy. If you happen to have a little excess fat – or even a lot — all you have to do to get rid of it is take advantage of your own ready-made biology. How to do exactly that is the subject of Fat Loss Biology: The Science Behind Why We Get Fat and How to Lose It. You might be surprised to find out about the myths perpetrated by a weight loss industry that are guaranteed to keep you either fat and unhealthy or slim and unhealthy. Once you understand these myths, you will know exactly how to shed those unwanted pounds of fat and keep them off for the rest of your life. Oh, and truly good health is a bonus from doing things right. Here are some of the surprises that you will learn about in Fat Loss Biology. People do not get fat because they are lazy or slothful. If you have somehow become convinced that you are overweight because you are lazy or slothful, think again. This myth just makes people feel bad about themselves. If that includes you, stop it. Many causes lead to weight gain, most of which you can control if you know how. The ‘sloth hypothesis’, or whatever this nonsense is called, is stupendously incorrect. Weight gain comes from consuming more calories than you burn; weight loss can only happen when you consume fewer calories than you burn. You will be surprised to find out how idiotic that concept is. Unfortunately, it is the foundation for some truly awful advice about dieting. If any doctor, nutritionist, fitness advisor, or other professional who should know better tells you to eat according to a calories in/calories out diet, run as fast as you can the other way. It won’t work. It has never worked. It will never work. Reduced calorie dieting is a plague to avoid. You do not get fat because you overeat. You overeat because you are getting fat. That’s right, the old cause and effect dogma of getting fat by overeating is dead wrong. The truth is, it is just the opposite. Not knowing the true cause and effect dooms dieters to suffer and to fail in any weight loss program. This is the main reason that the vast majority of people who lose weight gain it back, often gaining more than they lost in the first place. Weight, body fat composition and BMI are almost useless as indicators of good fat metabolism. In fact, visceral fat is what is truly important. The good news is that you don’t need any fancy equipment, or even a bathroom scale, to keep track of visceral fat. The least significant component of your eating style is how much you eat. Your eating style is much more than how much you eat. Find out why it is more important to know when to eat and what to eat, rather than how much to eat, for getting your fat metabolism going. The key hormones for healthy fat metabolism are not testosterone or estrogen. Yes, steroid hormones are important. However, they are secondary to what happens when your metabolism decides on where to shuttle digested food – that is, using it as energy, storing it as fat, or adding it to muscle. Only the right eating style guides your metabolism to make the right decisions. The bedrock of effective fat metabolism depends on getting rid of cellular garbage. One simple strategy is crucial for reducing cellular debris so your metabolism can do what it is supposed to do. Ignoring this strategy will make everything you want to accomplish for fat metabolism much harder, maybe even impossible. The low-fat diet craze is probably the worst health advice ever perpetrated on an unsuspecting public. Low-fat dieting flies in the face of everything we know about the importance of dietary fat in real human biology. You have to consume fat to get and stay slim and healthy. KEY COROLLARY: Consuming foods that contain cholesterol have nearly nothing to do with your cholesterol levels or anything at all to do with cardiovascular health in any way. Your cholesterol level is the least significant indicator of your cardiovascular health in the first place. If you somehow got fooled into taking drugs for lowering your cholesterol, you may be surprised to know that they do not improve cardiovascular health, reduce the incidence of arterial blockage, or have any beneficial effect on mortality. There is no such thing as a dietary requirement for carbohydrates. You would be fine if you never had another molecule of carbohydrate pass your lips. Understanding what happens when you do consume carbs, including which ones to choose and which ones to avoid, is a key to successful fat metabolism. Certain widespread food additives can completely undermine your fat metabolism. Knowing what they are, where to look for them on food labels, and why you should keep them out of your diet are crucial for healthy slimming. You have probably heard about them before. However, they are much, much worse than you think. Dietary saturated fats are not a hazard to your health. In fact, certain saturated fats will even boost the right metabolism. You can eat too much protein. Too much protein will slow down your metabolism and can even be toxic. The key is to consume sufficient amounts of the right kinds of fats, not more protein. You have to have sodium for good health. Indeed, your body depends on a balance of electrolytes that include sodium, potassium, and magnesium. The benefits of this balance include the proper use of calcium. Without the right balance of these minerals, you will be in big trouble in many ways, not the least of which is poor fat metabolism. You do not exercise fat. The underlying principle that is implied in most exercise programs is wrong. You only exercise muscle, not fat. Stoking your fat metabolism requires the right kinds of exercise whose benefits are well-established by scientific research. Forget about all those ab machines and other equipment that you see in late night infomercials. They don’t work to reduce fat. Most weight loss supplements are ineffective. Thousands of weight loss supplements are on the market, and almost all of them are overhyped. The reality is that healthy fat metabolism depends on building muscle mass. Only a few supplements have been found to enhance muscle-building based on good scientific research. Even fewer work for older adults. The good news is that they are easy to find and relatively inexpensive. I know this seems like a lot to swallow (pardon the pun). 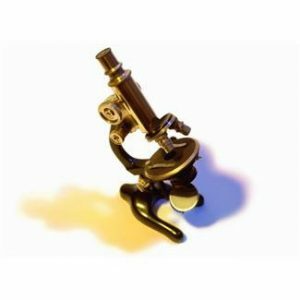 Nevertheless, everything that I have found out about fat loss biology is supported by solid scientific research. You have to know the right stuff about your own biology before you can use it to your advantage. Fat Loss Biology gives you that knowledge. Of course, I encourage you to get the book for yourself and immediately start applying what you learn to your own life. I guarantee you will be pleasantly surprised at the changes you will create in your body. Keep in mind that taking advantage of your own biology does not entail eating less. I shudder to think what life would be like if I had to cut back on all the good foods that I love to eat. In fact, just the concept of reducing calories, or keeping track of calories at all, is ridiculous. Fat Loss Biology includes a brief section explaining why calories are irrelevant. I also expand on this concept in a booklet that you can get at no extra charge. 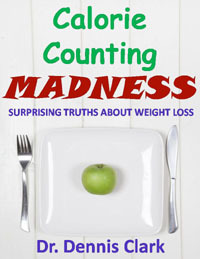 You will get a download link to this booklet, Calorie Counting Madness: Surprising Truths About Weight Loss, when you order Fat Loss Biology. So go ahead, join me and hundreds of others who have already benefited from these strategies for getting slim and healthy and staying that way for the rest of your life. to get the download link. Otherwise you will not receive the book.